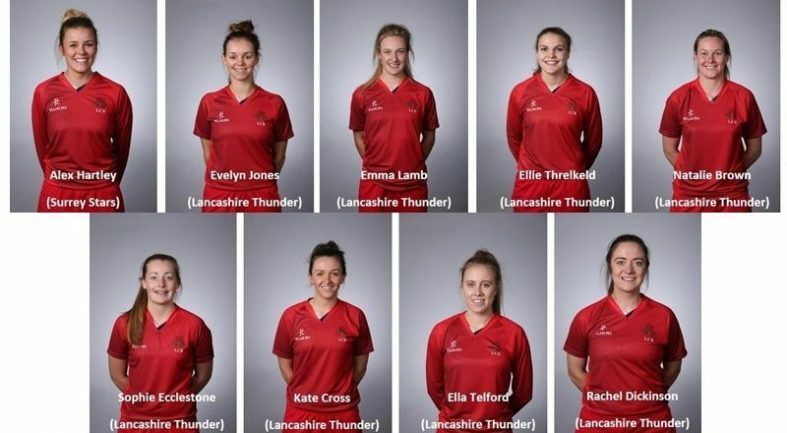 With the 2017 Kia Super League just around the corner, it’s great news that 8 of the current LCB Women players have been awarded Lancashire Thunder contracts. Credit must go to these players who have continued to perform well in the county game and taken opportunities given to them. The Kia Super League was a huge success in 2016 and looks to continue to offer the best versus the best competition for women across the world. 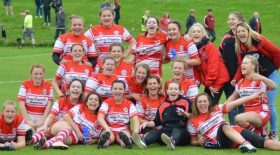 Credit must also go to the hard work done in the winter months by the coaching staff who have tirelessly supported these players on their journeys. Lancastrian and England Women’s Kate Cross is delighted to be selected again. She said: “I am absolutely thrilled to be re-named in the Thunder squad for the second instalment of the Kia Super League. Growing up playing cricket for Heywood CC, it was always a dream of mine to be representing Lancashire and having progressed through the age groups and the Lancashire Academy, it makes me very proud to continue to represent the Red Rose. Rachel Dickinson, currently at Loughborough University, was part of the BUCS One Day Cup squad that won at Lord’s. She has excelled with the ball at county level which has earned her a contract for Thunder. She added: “My first main experience of cricket was at Ormskirk CC as a 5 year old and progressed through the Chance to Shine programme delivered at Ormskirk C of E Primary. I have played for Lancashire girls since the age of 10 and have been involved with the LCB Women’s First Team for the last 4 years. It mustn’t be forgotten that Alex Hartley a Lancastrian and LCB Women’s player will also been seen in the Kia Super League in Surrey Stars colours. The LCB Women’s First Team have started their county campaign strongly after securing promotion last year to the Royal London Women’s 1-Day Championship Division 1. They have recorded wins against Middlesex, Berkshire and Kent and currently lie third in the table. This weekend sees the team travel to Surrey on Sunday 30 July in pole position of Division 1 of the NatWest Women’s County T20 competition, having won 5 of their 6 matches played so far. If they have successful results against their opponents Surrey and Yorkshire, they will win their first silverware of the season. To follow how the LCB Women First Team get on this weekend follow @LCBWandG Twitter handle for scores and updates.